The EOSIO based BOS chain has just launched! eosDAC is pleased to have supported the mainnet launch today and we hope to keep producing blocks for the BOS Mainnet. The primary objective of eosDAC is to ensure that it is able to continuously produce blocks required by EOS.IO software driven blockchains. We want EOS.IO blockchains to flourish so we will engage with EOS communities with a view to initiating and supporting projects that benefit all EOS.IO blockchain communities. This will include tools for other DACs. 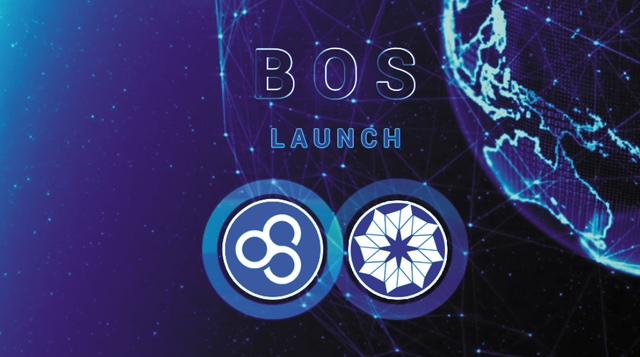 BOS is committed to providing users with easy-to-access and easy-to-use blockchain services, providing a more user-friendly infrastructure for DApp operations, working to support richer application scenarios, and actively experimenting with DApp booms. In addition to technical improvements, BOS will also try other aspects. For example, in order to increase the participation of users in voting, estimator technology can be used to motivate accounts that meet clear rules. The rewards of BP on BOS will be adjusted according to the number of DApp on the chain, TPS, market value, liquidity and other indicators. A resolution reached by a community referendum will be coded as much as possible, to reduce human factors in the process, keep the process on chain, and maintain fairness and transparency. The codes of the BOS chain are fully contributed and maintained by the community. Each ecological participant can submit codes or suggestions. The related process will refer to existing open source software, such as PEP (Python Enhancement Proposals). In order to encourage the development of DApp in BOS, the BOS Foundation will provide Token replacement of low-cost resource mortgage services for DApp in BOS, reduce the operating costs of DApp in the early stage; in addition, it will also regularly provide BOS incentives to developers who contribute on a regular basis in order to establish a mutually reinforcing community development trend. The BOS team has recently demonstrated Inter Blockchain Communication (you can watch the demo here), and eosDAC believes developing and enabling IBC will greatly benefit the entire EOSIO ecosystem. You can review the IBC plugin here. eosDAC is looking forward to seeing the BOS network help DApps flourish as well as their progress with the IBC technology. BOS BPs are voted in by the token holders just like like the EOS Mainnet - eosDAC (On BOS: bosdacserver) need your vote! An additional 0.8% issuance will be given to the BOS eco-contribution code developer every year. Fifty candidates will be nominated by the community. Top 50 BPs vote 40 winners to get the awards: the top 10 share 40%, people ranked 11 to 20 share 30%, the last 20 share the remaining 30% evenly. The reward happens once every 3 months and each reward will be carried out with a one-week publicity. It will be re-evaluated if there is a reasonable objection. And each reward list will be recorded on chain. As BOS continues to develop, developer rewards will be appropriately adjusted to allow the community to provide more momentum for the evolution of BOS. Another much easier way if you prefer is to simply login to bos.eosx.io with Scatter with your EOS Genesis account: Head to https://bos.eosx.io/tools/vote with your Scatter unlocked, click ‘Attach Scatter Identity’ and then the Scatter window will automatically register the network and load your BOS account name. Select ‘Login to proceed. We have also uploaded a tutorial video demonstrating how to vote on BOS Mainnet.